You can’t afford to miss DC SPECIAL: THE RETURN OF DONNA TROY, a spectacular 4-issue miniseries written by Phil Jimenez that unites artistic titans José García-López and George Perez for the first time and heralds the triumphant return of one of the DCU’s most popular characters! She was raised as a goddess, linked by blood to Wonder Woman, crowned as a Titan among both mortals and gods ? 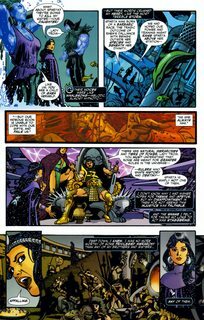 but Donna Troy’s story is the triumph of the human spirit. 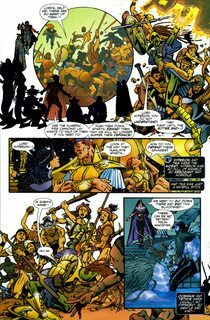 Torn from Earth by the events of TITANS/YOUNG JUSTICE: GRADUATION DAY, Donna Troy has reemerged among the Titans of Myth as Troia, Goddess of the Moon. 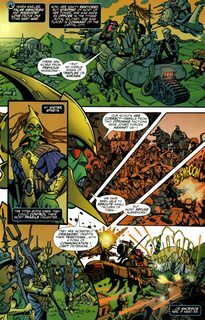 But memories of a different life haunt her as she leads the Titans of Myth in the final battle of a long campaign of interplanetary conquest, gathering weapons, warriors, and worshippers to fulfill a mission she has begun to doubt. It will take the combined might of the Outsiders and the Teen Titans to solve this cosmic mystery and reveal Troia’s true destiny to her: a cosmic hero destined to unite legions against a threat to the entire universe! The RETURN OF DONNA TROY is a new beginning for Donna Troy ? and a stunning prologue of things to come throughout the entire DCU!